Apple announced today that new Mac Pro will be available in December. Never to steer clear of design controvesy the new Mac Pro is a complete and radical redesign of the old silver tower design that Apple has used since the G5 tower was introduced in 2003. 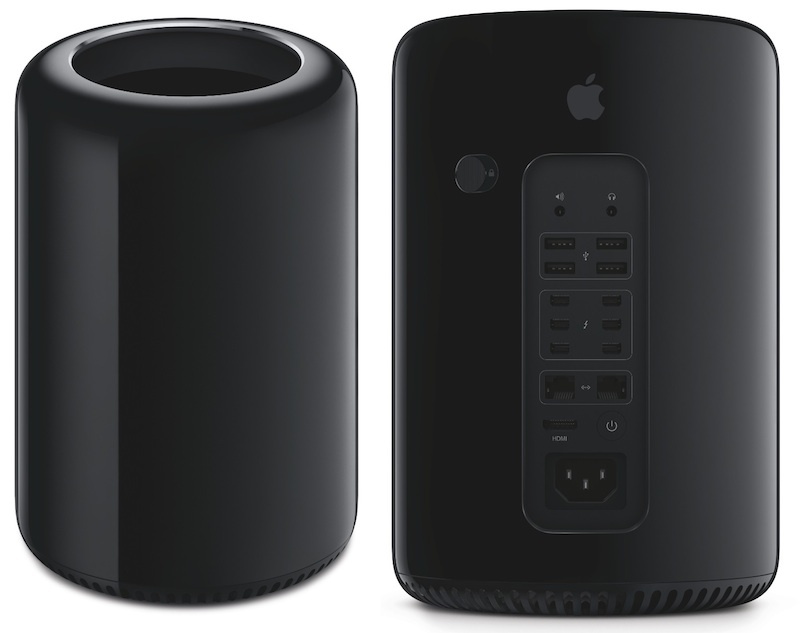 The U.S., pricing for the new Mac Pro begins at $2,999 for the entry-level model (buyers around the world prepare to be shafted with currency and tax charges). The new Mac Pro has build to order customization, more info to follow. The new Mac Pro includes the new Ivy Bridge E Xeon processors with up to 12 cores, 2 AMD FirePro GPUs standard, PCI Express flash storage, Thunderbolt 2 ports, USB 3.0, HDMI-out and 802.11ac Wi-Fi. Let us know what you think? Hit or Miss?